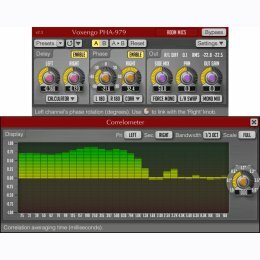 PHA-979 is a professional audio AU and VST plugin which allows you to apply an arbitrary phase shift to sound material. What is meant by the phase shift here is simultaneous shifting of all frequencies across the active frequency range of the signal by the given value in degrees. This is achieved by linear-phase design. PHA-979 is useful during mixing sessions, especially when working with the sound material recorded through an array of microphones. In many cases this allows you to solve various phasing problems arising from the microphone placement chosen during the tracking session. In other cases this process may help you to align drums and other instruments to each other bringing punch and time coherence not attainable by the ordinary time-aligning alone. 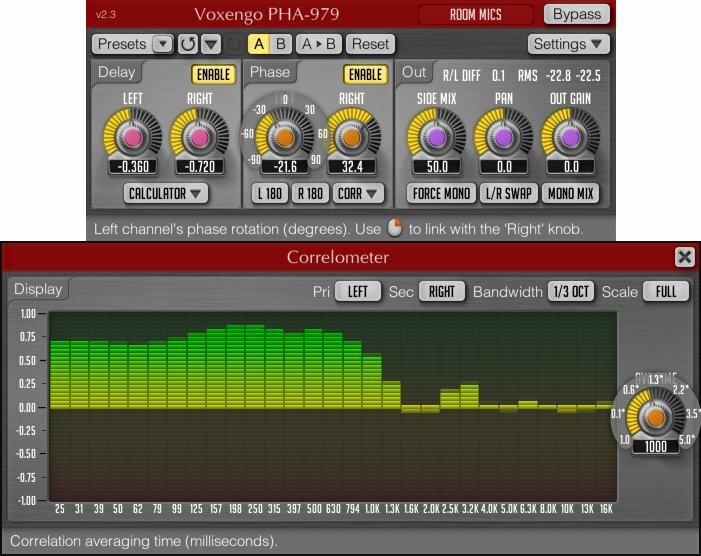 Beside the phase shifting, PHA-979 features positive and negative time delaying that eliminates the need to move in-track events in the sequencer when doing time alignment over any set of recorded tracks. PHA-979 also provides mid/side channel balance and panning controls that permit you to record stereo microphone pairs into a single stereo track without resorting to dual mono recording (on separate tracks) which usually becomes time-consuming in a further editing. PHA-979 features multi-band analog-style correlation meter that greatly simplifies phase- and time-aligning process. Moreover, you can use functionality PHA-979 provides to setup headphone monitoring so that it closer resembles sound stage produced by stereo speaker monitoring.